Dieting can be very very expensive, however there are a few tips will you keep your money in your wallet. 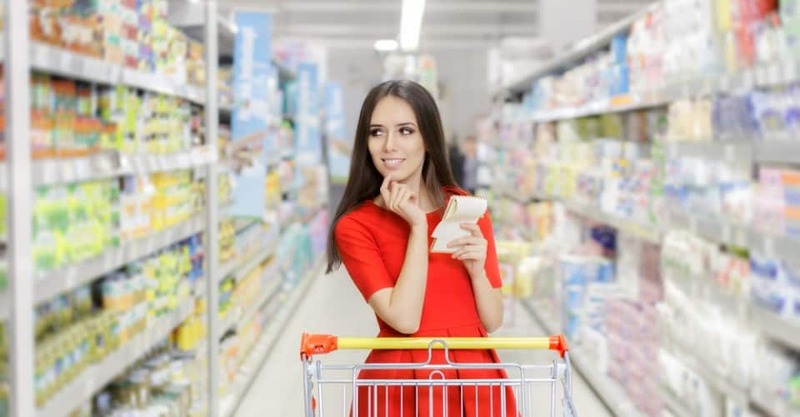 Make sure you have a shopping list and a full stomach when you go to the store. Lack of planning and hunger can lead to impulse buying that will cost you extra money and calories. Get an app to help you. – GroceryIQ; Pushpins. There are exceptions, but convenience foods are usually more expensive as well as less nutritious. Don’t pay extra for pre-washed, chopped salad mixes or vegetable sticks. Buy heads of lettuce, bunches of broccoli and bags of carrots; then wash, clean and slice the vegetables all at once. Store them in plastic containers or bags in the refrigerator so you can grab them when you need them. Store brands can often be substituted for costlier name-brand items. Try making the switch; you can always return to the name brand next time if you’re not happy. In addition, many supermarkets will take back foods you don’t like. 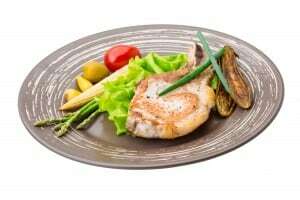 Don’t fall prey to gimmicky diet foods. You don’t need to buy overpriced specialty items to lose weight. They’re less expensive and a healthy change from beef. Also, canned tuna, peanut butter, eggs, egg whites and beans are inexpensive protein-rich staples. It’s more economical, and you’ll know you have the product in your pantry when you need it. One of the most effective ways to ensure that you always have a healthy meal on hand at home is to cook several meals at once, portion them into single servings and freeze what you won’t be using immediately. Or, as an alternative to cooking entire meals ahead, just double or triple up on some basic building blocks that will speed you through prepping future meals. Use them. You can make stews, soups, or just cut out the bruised portion. Have you noticed that grocery stores often sell cut up, prepackaged fruits and veggies? You actually pay more for the convenience, and the store makes a profit on produce with bumps and bruises that would otherwise have been thrown out. Most fruits and vegetables are nutritious whether fresh, frozen or canned. When buying canned, check the label for vegetables with no added salt and fruits packed in their own juices. Compare prices to get the best buys. When you cook your own food, you don’t have to pay restaurants or convenience food companies to cook it for you. And the best part is, you control the ingredients. Plain, old-fashioned oatmeal (not the instant single-serving kind) is cheapest. To jazz it up, try it with raisins, cinnamon, or strawberries. Beans are a great source of high-fiber, low-fat protein. Always keep some cans in the house so you can throw together a healthy meal fast. Black beans, corn, salsa, a tiny bit of low-fat cheese and tortillas are the only ingredients you need to make tasty vegetarian quesadillas. Beans are also a great addition to pasta dishes. Try cannellini beans, spinach and stewed tomatoes over pasta. If you buy beans in the bag and cook them yourself, they’re even less expensive than the canned variety. Boneless, skinless chicken breasts are typically much more expensive than whole chicken breasts on the bone. If you need chicken for a stir-fry, don’t pay extra for chicken tenderloins. Slice your own out of whole breasts. Use vegetables as a main dish with meats and poultry on the side. You can make a great sandwich for the cost of a fast-food burger and fries. If you have a microwave available, consider making a bit extra for dinner and bringing the leftovers for lunch the next day. Canned soup is good too. Preheat the oven to 350 degrees. Spray a 12-cup muffin tin with nonstick cooking spray, such as Pam, or line with muffin liners. Put the rolled oats in a food processor and process until ground ­ about 10-20 seconds. Combine the flour, oats, baking powder, baking soda and salt in a bowl. In a separate bowl, mash the bananas and combine them with the blueberries, strawberries, milk, egg whites, vanilla and honey. Stir in the flour mixture. Spoon into muffin cups until they’re about ¾ full. Bake 20-22 minutes or until golden brown. One 3-ounce muffin has 174 calories along with 4 grams of protein and 4.6 grams of fiber. Gradually switch to healthier, more filling and less expensive foods, such as homemade muffins, apples and carrot sticks, air-popped popcorn or whole grain breads.